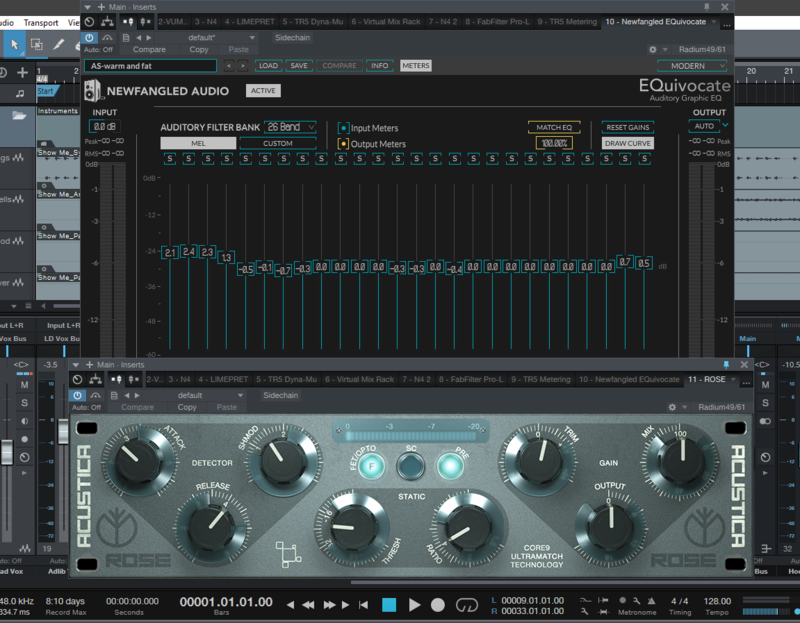 EQ, compression, noise removal, reverb and delay using plugins from FabFilter, Acustica Audio and various other high quality plugins. Does not include auto tuning and vocal editing. 50 vocal track limit.